NEW GENERIC HAND GRIP FOR CANON A-1, AE-1Program. SPORTS/FINGER GRIP. SONY RX100 RX100II RX100III IV V VI. Well-designed, the battery is accessible with the grip attached. Product View. Or if the product was sent to you in error by our staff. Just give us the opportunity to resolve a problem. GENERIC HAND GRIP FOR CANON A1 OR AE-1PROGRAM. Fujifilm X70. Well-designed, the battery is accessible with the grip attached. flash diffusers. Product View. Or if the product was sent to you in error by our staff. In addition to the UK, we have Local warehouses in Germany ，United States and many other countries, Our products are supplied globally, aiming to bring you affordable products. Olympus OM-DE-M5. Well-designed, the battery is accessible with the grip attached. Product View. Or if the product was sent to you in error by our staff. In addition to the UK, we have Local warehouses in Germany ，United States and many other countries, Our products are supplied globally, aiming to bring you affordable products. Canon 7D Mark II 7D2. Well-designed, the battery is accessible with the grip attached. Product View. Or if the product was sent to you in error by our staff. In addition to the UK, we have Local warehouses in Germany ，United States and many other countries, Our products are supplied globally, aiming to bring you affordable products. The strap is adjustable so will fit any size hand and is usable with either the left or right hand. It can also be used when the shoulder strap is attached. 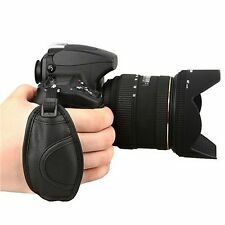 Quality Hand Strap for DSLR and other large cameras. Includes tripod mount. It is ideal for sports photography etc, as you will not be encumbered by a neck strap. It also enables you to shoot with only one hand. You can carry on using your tripod without removing the hand strap. Well-designed, the battery is accessible with the grip attached. flash diffusers. Or if the product was sent to you in error by our staff. Product View. Just give us the opportunity to resolve a problem. 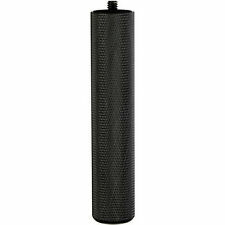 Each grip part is made with high precision from a solid block of alloy using 3D milling process. Quality as comparable as Golf putters. -Ergonomically Design for Perfect Fit and Hold. -High Quality Alloy 3D milling Process. Made from Protective Neoprene with interior zip pocket. Made from Protective Neoprene with fleece inner lining. Includes Wrist Strap. Made of durable aircraft grade aluminium, through high-precision CNC precision machining, Premium Type III hard-anodized anti-abrasive finish. LB-XE3 features a detachable design, the base plate and vertical plate can be easily disassembled and assembled to fit different shooting experience. It’s the necessity for SLR photographer, which distributes the weight evenly on the back of your hand. Therefore, it enables your hand free from fatigue. All Canon, Nikon, Sony, Olympus. Material: Leather. 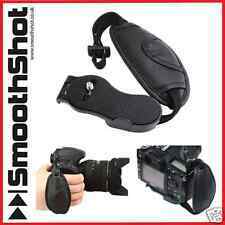 Large non-slip surface padded Universal SLR Camera Hand Strap for Sony Nikon Samsung Canon Pentax Minolta Fuji etc. 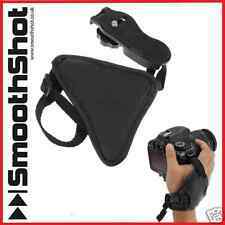 Universal Hand Strap is compatible with most DSLR, SLR and Prosumer cameras. Size: 15cm lenght for wrist. (2) the item has NOT had any serial number removed or defected, and. Made by genuine leather, 100% authentic. Easily fits to your RX100, RX100 II, and RX100 III RX 100 M4 RX100V. Tough and lightweight, the grip also makes it easy to snap. 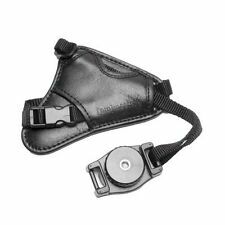 The newly designed, lightweightBreathe Hand Strap fromBlackRapid is changing the way photographers on the move understand comfort and security. For extra support, the hand strap connects to a removable, padded wristband. Floaty Sponge. Floaty Sponge with 3M Adhesive. 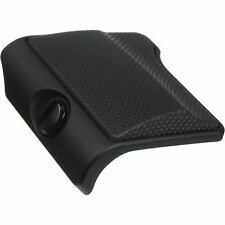 Floating Bobber Handle for GoPro. Compatible with GoPro case only, easily to make your Go Pro waterproof housing case float on water. Compatible with GoPro Hero case, easily to make your Go Pro waterproof housing case float on water. You simply slide the Anchor into the Link to attach the strap, and slide it out to detach it. The strap can be adjusted from 7.1 to 11.4". It is made of premium aluminium alloy, which is sturdy and durable. The hand grip is anti-slip and can provide you with a kind of comfortable hand feeling due to the microfiber leather on its surface. All of our products were carefully selected and imported directly from original manufacture factory. Quick and easy to use, the Cotton Carrier Camera Hand Strap With Tripod Plate gives you comfort and security when holding your DLSR. The heavy-duty Velcro strap allows you to instantly tighten or loosen your hand against your cameras body, making holding heavy cameras easier and safer. The Hand Strap attaches to the base of your camera using an Arca-Swiss style plate so you can clamp your camera directly to a tripod head or any number of popular quick releases. The plate also works with Manfrotto heads. Diving Hand Grip Floating Bobber GoPro 3 4 5 6 7 SjCam Xaomi. For FUJIFILM X-T20. Professional Wrist Grip Strap. Professional Wrist Grip Strap. Padded professional quality grip strap. Adjustable, padded hand strap that comfortably surrounds the hand for steady shooting. The Sigma Power Grip PG-41 is designed for use with the Sigma SD Quattro & Quattro H Digital SLR. The Sigma Power Grip PG-41 upgrades the battery power by holding two dedicated BP-21 batteries. 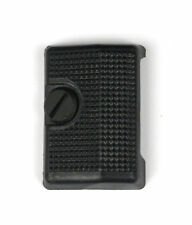 The grip also incorporates a shutter button for use in the vertical format. Designed specifically for Olympus EP5, split-body design, can be disassembled, can be used vertically, and can be used as grip;. Compatible For. L Plate Custom Designed For Fuji Fujifilm X100 X100S. 1 x Vertical Shoot Quick Release Plate For Fuji Fujifilm X100 X100S. These plates work especially well when you're using shorter macro, wide-angle, and tilt-shift lenses. SJCAM NECK STRAP LANYARD LOOP ENDS SJCAM NEW SJ1 . A standard quick-release 3-prong mount on top supports a variety of housings and other mounting accessories. 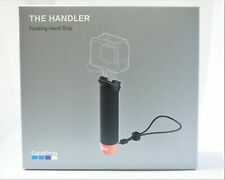 The Handler is a useful accessory for when you are surfing, kayaking, wakeboarding, and other water sports activities. 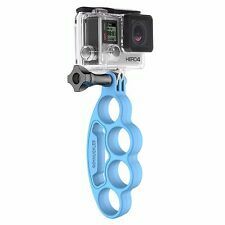 GoWorx GoKnuckles for GoPro HERO cameras (Blue) | The Ultimate GoPro Grip!